This entry was posted in Projects, Virtualization and tagged Firejail on August 28, 2014 by netblue30. This entry was posted in Projects, Virtualization and tagged Firejail on July 24, 2014 by netblue30. The goal of this article is to isolate a small public web server on a simulated demilitarized zone (DMZ) network, and to restrict the local network access in case the server is breached. It is an extra security layer added to an existing home server setup. 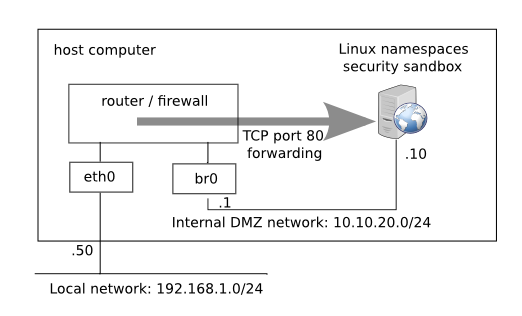 The DMZ consists of an internal network 10.10.20.0/24 connected to br0 bridge device. 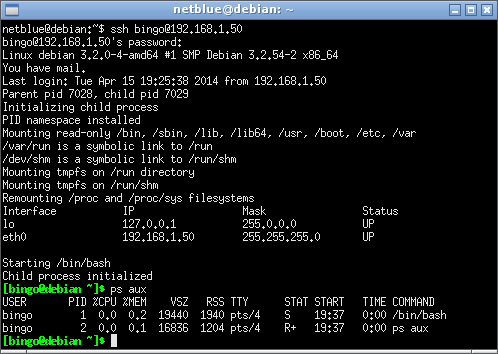 On this network I place a Linux namespaces security sandbox at 10.10.20.10, running a web server. In case an intruder gets control of the web server, he will be running with low privileges as a generic www-data user. The host firewall configuration will not allow him to open connections anywhere outside DMZ network. This entry was posted in Networking, Projects, Virtualization and tagged Firejail, Firewall on June 8, 2014 by netblue30. Firejail is a SUID sandbox program that reduces the risk of security breaches by restricting the running environment of untrusted applications using Linux namespaces. It allows a process and all its descendants to have their own private view of the globally shared kernel resources, such as the network stack, process table, mount table. 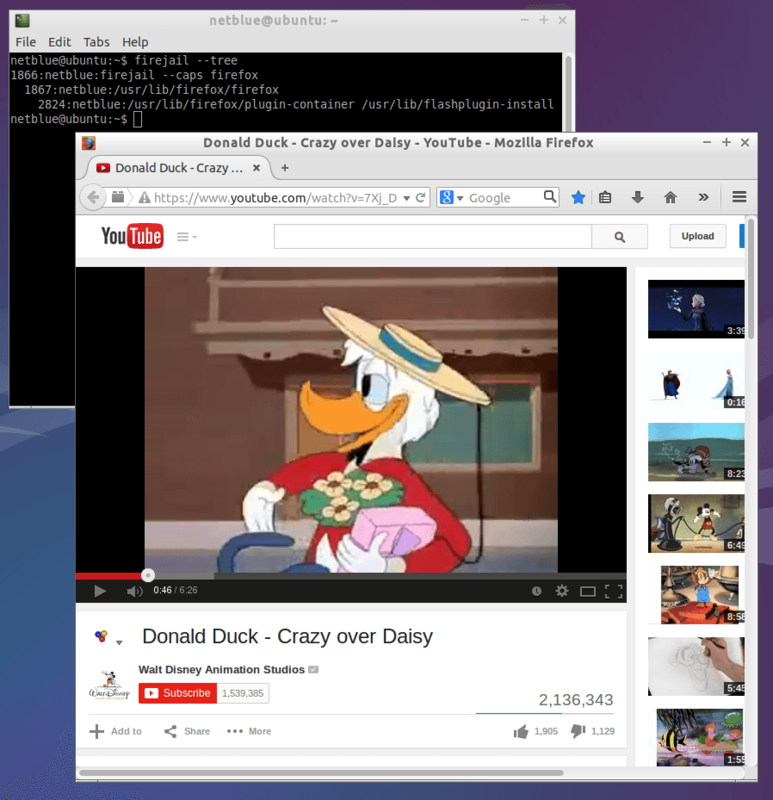 Started as a simple sandbox for Mozilla Firefox, Firejail was expanded to work on any type of executable, such as servers, graphic programs, and even as login shell. This entry was posted in Networking, Projects, Virtualization and tagged Firejail, Firewall on April 16, 2014 by netblue30.